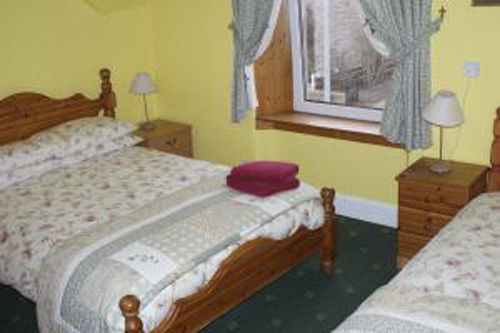 Room 2 has 2 single beds and is situated on the first floor. 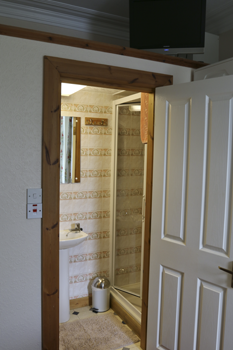 this room is fully en-suite. 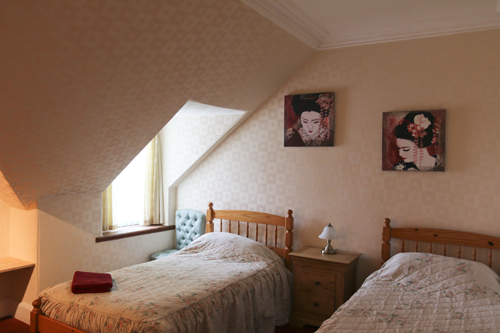 Room 3 is a twin room with 2 single beds, situated on the first floor with bathroom out side of bedroom in Hall. 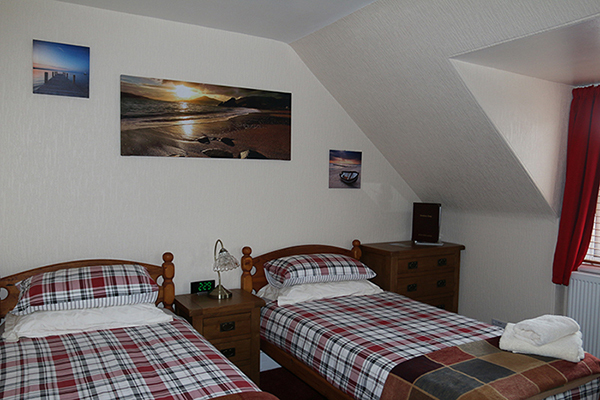 Room 4 has a double and 1 single bed situated on the first floor, with shared bathroom. 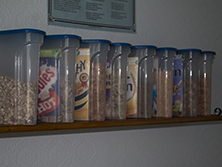 The Dining room has Individual tables for each room. 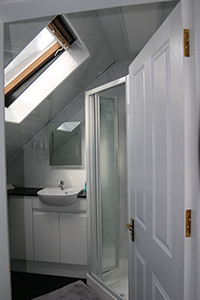 and is situated on the ground floor. 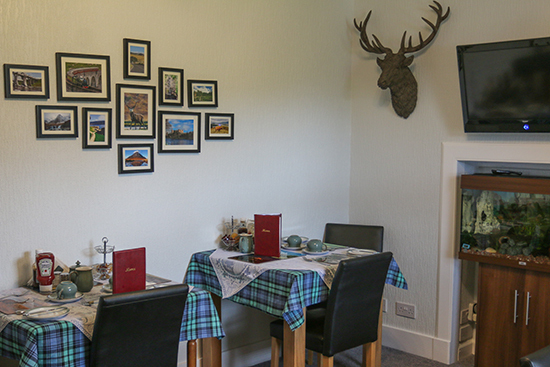 We offer a large selection of continental, such as Fresh meat, cheese, Fruit and pastries, and a full Scottish breakfast is always available. 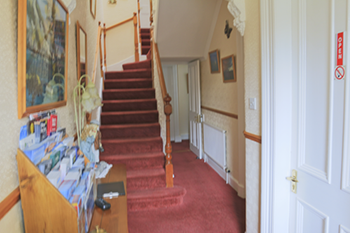 The sitting room is on the ground floor. Great for relaxing after a long day sightseeing. 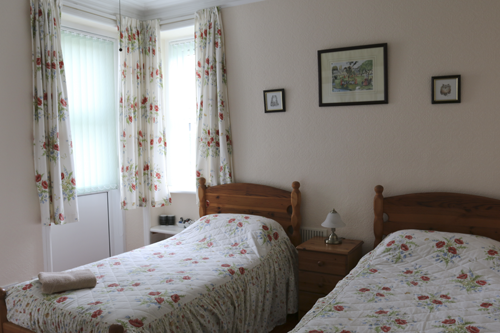 Meet other guests and share your stories or just relax before a good nights sleep. 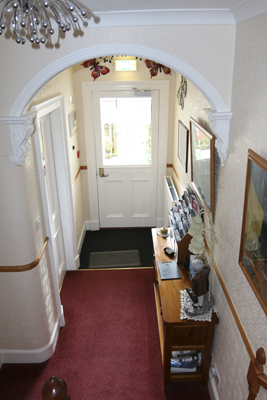 The entrance Hall in Hawthorn lodge. 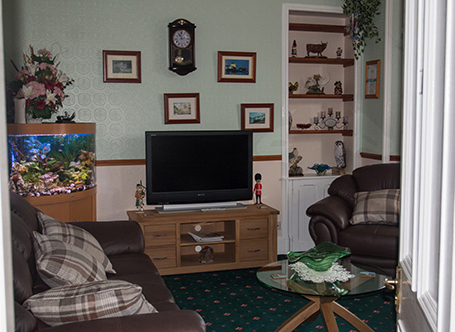 The entramce Hall in Hawthorn lodge.